THE ANIMAL CANCER & IMAGING CENTER IS DEDICATED TO PROVIDING STATE OF THE ART CANCER TREATMENT IN AN ATMOSPHERE OF EXCELLENCE AND COMPASSION. The Animal Cancer & Imaging Center is a freestanding cancer treatment center whose sole purpose is to help pets with cancer. We exist to help your pet through the most challenging medical time of your lives. When your pet is diagnosed with cancer, your world suddenly changes. The doctors and staff of the Animal Cancer and Imaging Center can answer those big questions: What kind of cancer is it? What can we do? How long will my pet live? Will my pet be in pain or discomfort? What are my options? And we deliver exceptional veterinary cancer treatment for pets in an atmosphere of excellence and compassion. We provide the most up to date treatments available in order to develop more effective and less toxic methods of treating cancer in pets. It is our goal to pursue excellence in the educational and developmental efforts within our specialties. We strive to perform with the highest ethical standards in a responsible manner with particular emphasis on the welfare of our patient, our staff and the veterinary community we serve. We take seriously our responsibility to provide excellence and compassion in veterinary cancer care. 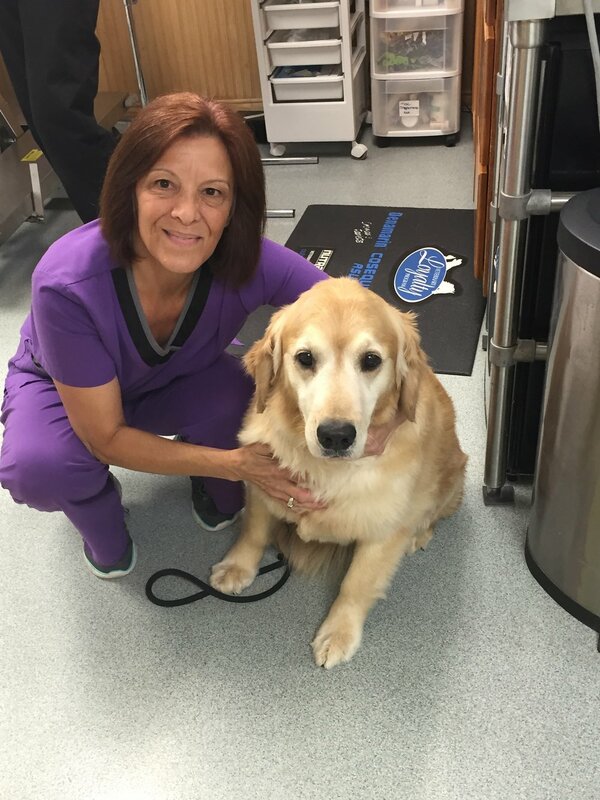 Our chief veterinary oncologist, Dr. Joyce Obradovich, is world-renown for her expertise in veterinary cancer treatment, research and clinical care. The entire team at Animal Cancer and Imaging Center is focused on the wellbeing of your most devoted furry companion. We know the love you have for your pet. We’ll help you get through this. Located in southeastern Michigan, in Canton, near Ann Arbor, we are centrally located to all of metropolitan Detroit and Ann Arbor. We’re an hour and a half from Lansing, two and a half hours from Grand Rapids, Mt. Pleasant and Bay City, an hour from Toledo, Ohio. Our team has devoted our professional lives to just one thing: cancer care for pets. We work with you from the moment your family veterinarian refers you, through diagnosis, treatment and your return to your family veterinarian. We know veterinary cancer. And we can help. Dr. Obradovich'S New oncology TEXTbook! Small Animal Clinical Oncology was just published!! Dr. Obradovich was commissioned to write this oncology text in order to provide over 200 case studies to help the practicing veterinarian, resident, intern, or veterinary student use as a study tool. It also provides a reference for practicing veterinarians who may be faced with a patient with cancer. We put our heart and soul into the care of your pet with cancer. We have decades of expertise, and led by renowned Dr. Joyce Obradovich, our team delivers exceptional care in a compassionate environment.